Confession: I don’t watch sports. I didn’t know who was playing when and on what day and where until just hours ago. Seriously…no joke. And I’m married to the same kind of person too. He owuldn’t know a hockey puck from a home run if it smacked him in the face. But….we do like the food. And the commercials. And maybe the half-time show too but those have been gettin’ pretty crazy lately. So..what we are making for Game Day..or should I call it ‘Pause through the game and just watch the commercials day’…sorry…don’t hate me! And this is all quite easy to put together as well! 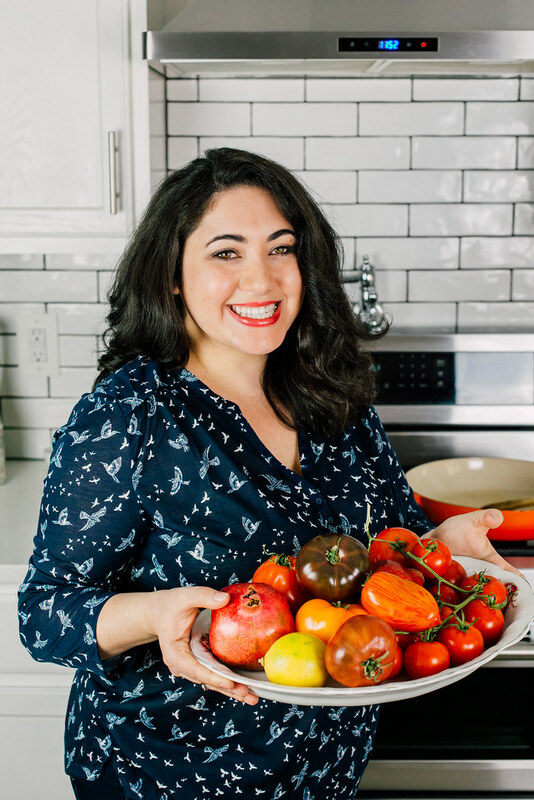 I am sure you have chicken and hummus in your kitchen now and some tomatoes to throw in. But it’s the balance and pairing of why all the flavors work magically together. 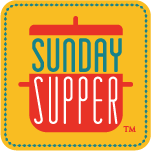 I will provide homemade recipes for the hummus and cucumber yogurt, but if you have store bought, that is just fine! 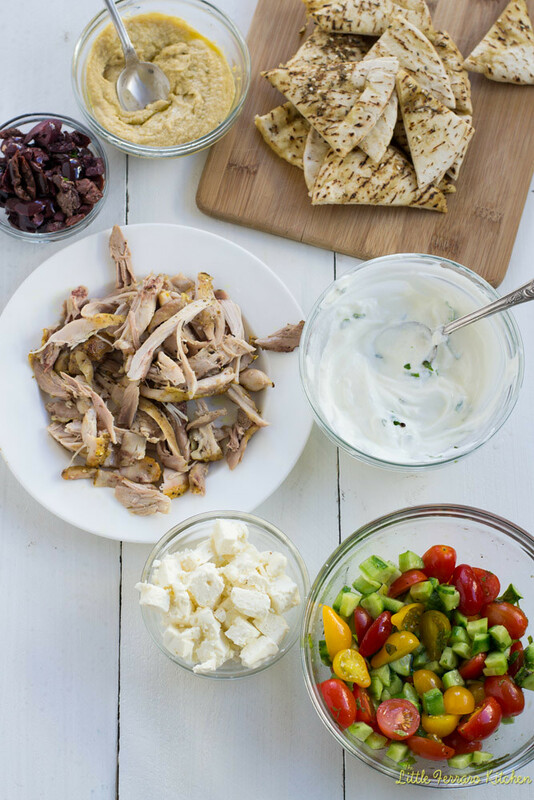 The chicken can be done ahead of time and shredded when you’re ready to make the “nachos”. Check out what everyone else made for Game Day! 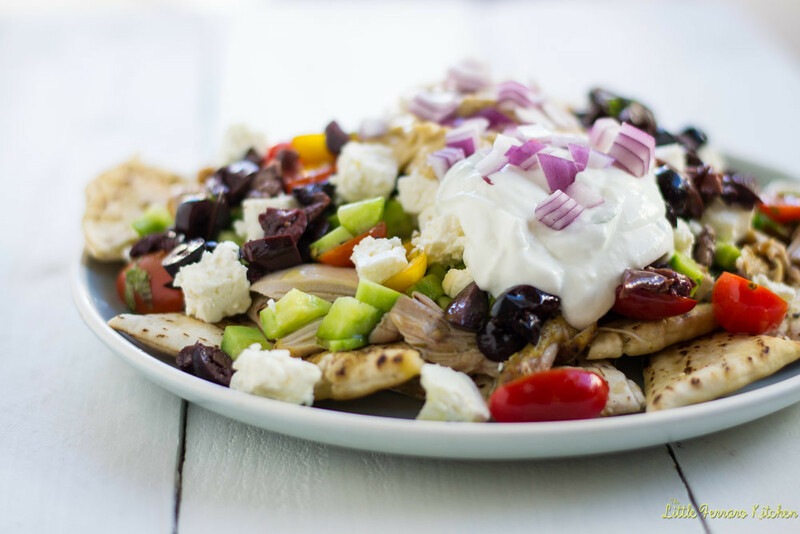 Hummus, chicken, feta, and yogurt sauce on top of NACHOS! This is genius! 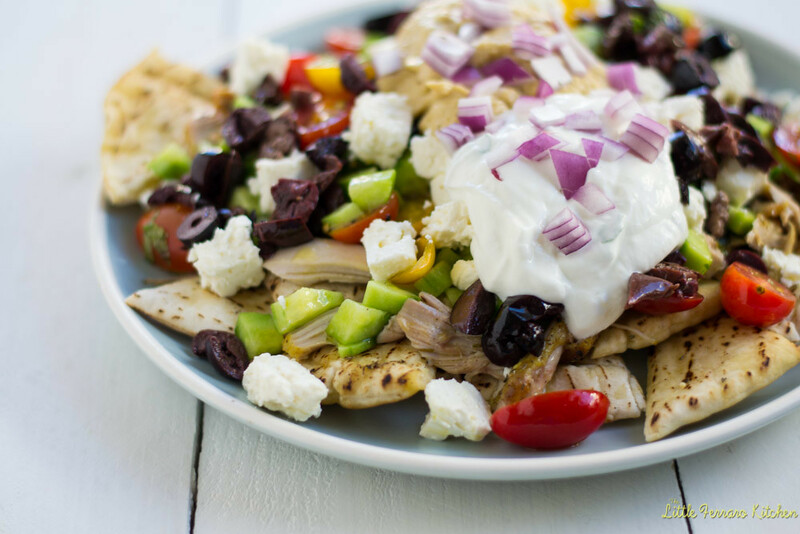 I just love Mediterranean flavors and your nachos look just incredible!!! Yum!! I love the twist on the usual nacho flavor profile. What a perfect idea, why hadn’t I thought of this before. Love it soooooo much!! Thanks Tara!!! Your Italian egg rolls are amazing! 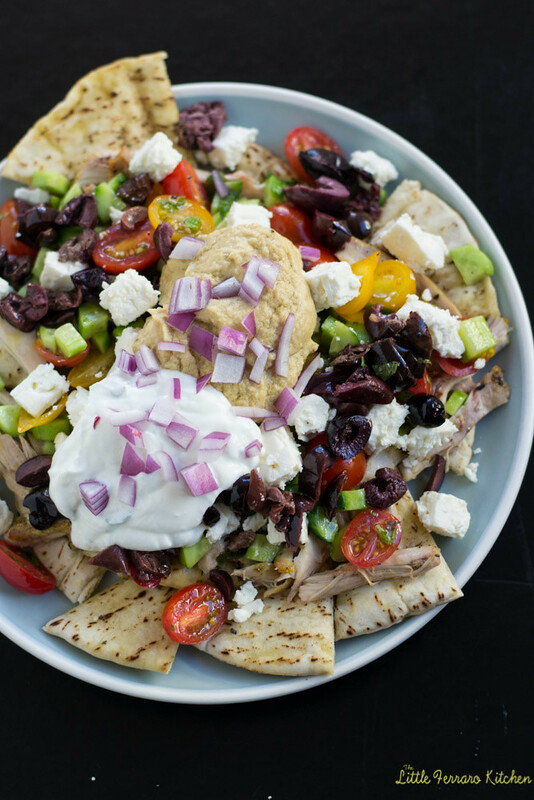 Mediterranean nachos are the real winners of game day. I love hummus and pita but with all the other toppings these are totally over the top! What a terrific idea for nachos!!! I love this flavor packed, healthier option! SO wonderful. I love this idea for nachos! And what perfect party fare!! Really genius. Pinning right now! Oh my gosh, I think I could live on this meal minus the chicken. It looks fantastic. Just what I’m craving. Thank you Shannon!! This would totally be great vegetarian as well! Wow! Stunning photos! I love how colourful this dish is! Being Italian, I am quite familiar with the flavours you used and LOVE them all! This recipe is a keeper! I see my name written on that plate of nachos. I’m sure of it. Its bad I know but I only want the hummus and the pita, thanks. 😀 and everything else thank you. Amazing… so unique and delicious looking! oh my goodness!!! I LOVE this!! what a great fabulous idea and alternative!!! LOVE!!! the pita bread and the hummus. . this is brilliant! All I can say is GORGEOUS!! So bright and fresh. I need to make this soon!! Thank you so much Bobbi!!! These nachos wouldn’t last a second in my house. The fact alone that you used pita makes me love it! What a creative idea! I would love a big plate of these for dinner tonight!